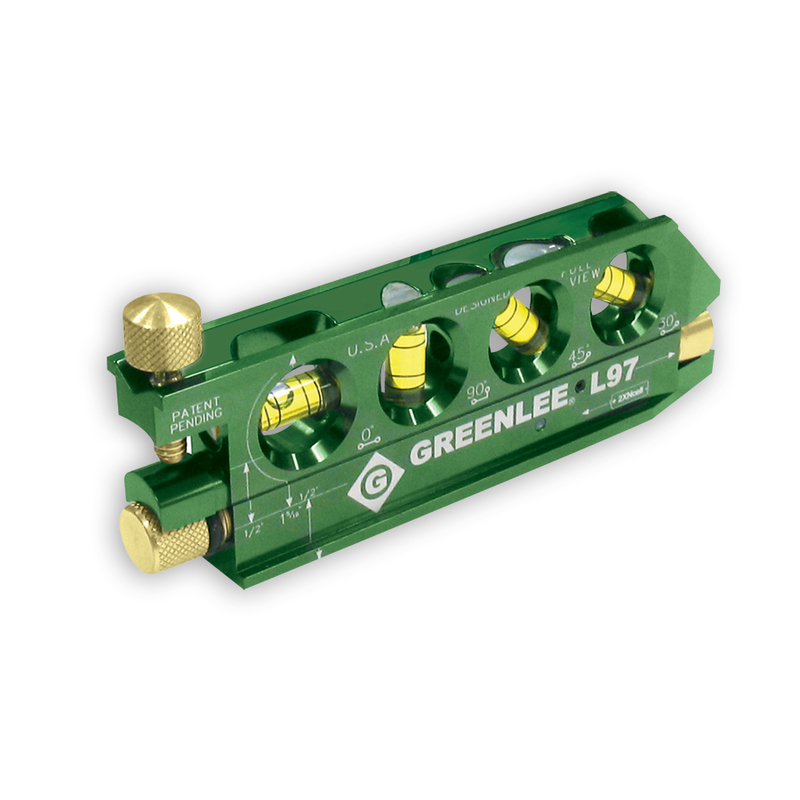 Professional grade level with bending offset aid. - Compact Size Fits Easily in Tool Pouch. - V-Groove on Top of Level for Easy View of Vials. - Mini Torpedo Design with Handy "No-Dog" Attachment for Bending. - Three Rare Earth Magnets Provide Superior Holding Strength. - Four Vial Design - 0 deg., 90 deg., 45 deg. and 30 deg. 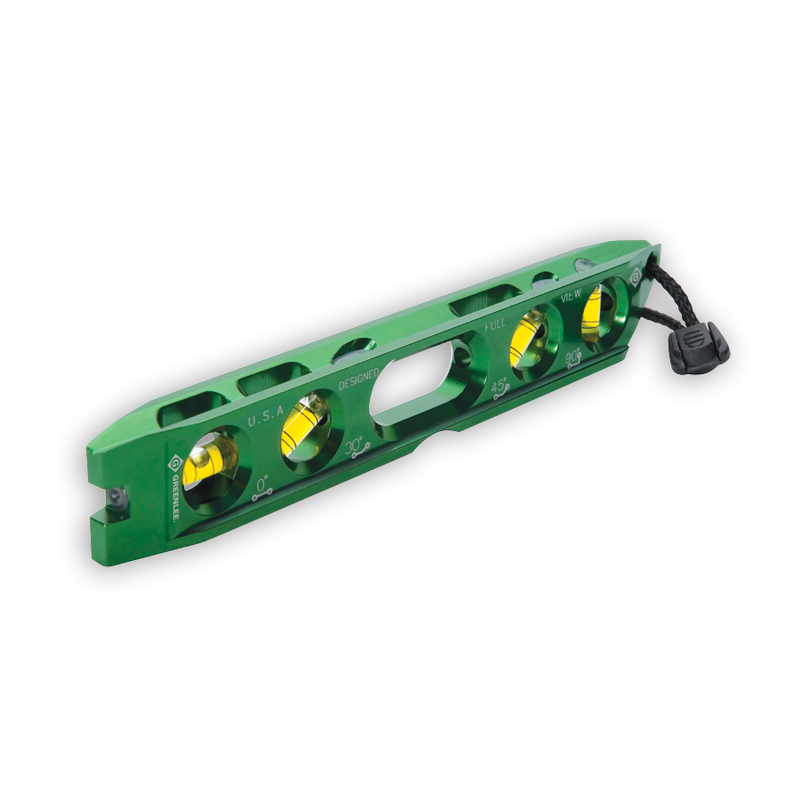 - Machined from Aluminum Alloy and Anodized to Aircraft Standards. - Bending Offsets and Calculatons Permanently Laser Engraved onto Level. - Mini Torpedo Design with Handy "No Dog" Attachment for Bending. - Compact Size with 80-Plus Yard Range. - Laser is Capable of Working on All Planes. - Four Vial Design – 0°, 90°, 45° and 30°. - Offsets and Calculations Permanently Laser Engraved Onto Level. - Four Open Vial Ports for Easy Viewing from All Sides. 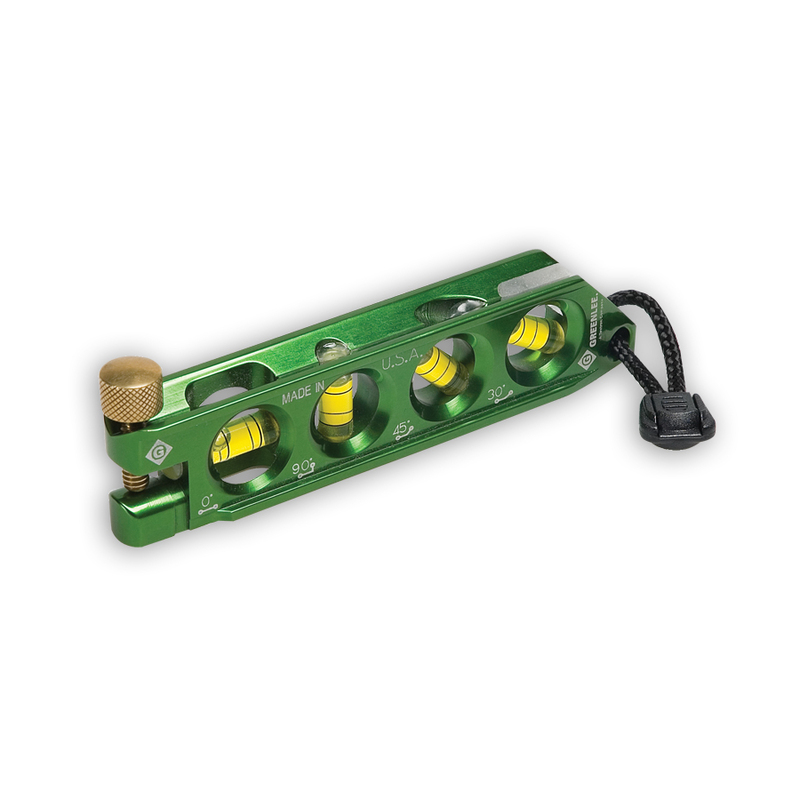 - Perfect for Pipe and Conduit Work. 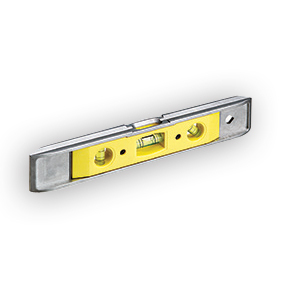 - Four Rare Earth Magnets Allow for Hands-Free use on Metal Surfaces. - Four Vial Design - 0 deg., 30 deg., 45 deg., and 90 Deg.